Oh how quickly does the weather cool down? I'm surprised how cold some mornings are these days. Such cool weather calls for something warm and hearty. Like porridge for breakfast and soup for dinner. Well it's the perfect time to start getting back to the Autumn/Winter comfort foods as Woolworths have Oats and Coles have Stock on sale this week! Well what a creative twist to ordinary oatmeal! Oats are great low GI (slow sugar releasing) food, which means they're beneficial for blood sugar management. This means they're great foods for people with diabetes, insulin resistance, or anyone who's at risk of either. Give it a go while mandarin's in season! Soup is a great way to pack in health-promoting veggies, beans, and whole grains. All these have anti-inflammatory, cancer- and other chronic disease-fighting properties. So pack in veggies and beans where-ever you can, and choose whole grains over refined grains for a healthy change. 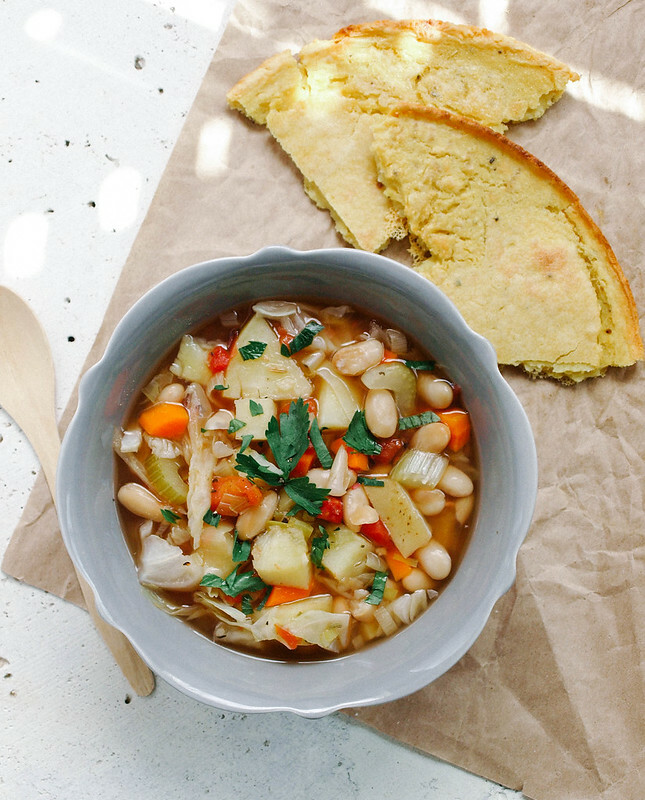 Cook's note: You can use any veggies and beans you like in this soup!